favori plot twist in ATLA? Just curious, cause there's lots of 'em. The white lotus tile was up Iroh's sleeve the whole time! Ikr! I was totally shocked. When they Lost ba sing sai. didn't see that coming. Probably Zuko turning out to have a bad past and then turning good... Just like Gaara, from Naruto! I think those kind of characters make reeeeeaaally likable characters, for some reason! I guess when they failed the invesion. I hadn't seen that coming. I think like most people a dit about Zuko going from evil and good. 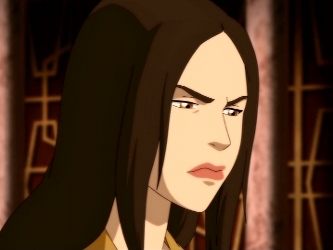 Also at the very end of the series when Mai and Ty Lee leave Azula's side surprised me. And The Puppet Master had a few twists in there too. The Mai and Ty-Lee thing surprised me too.